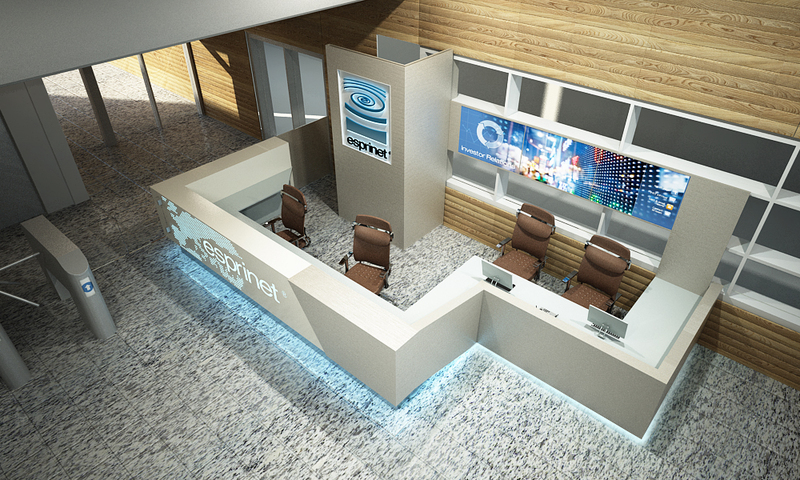 Reception is a crucial element of the office, being the first thing people see when entering the working space. 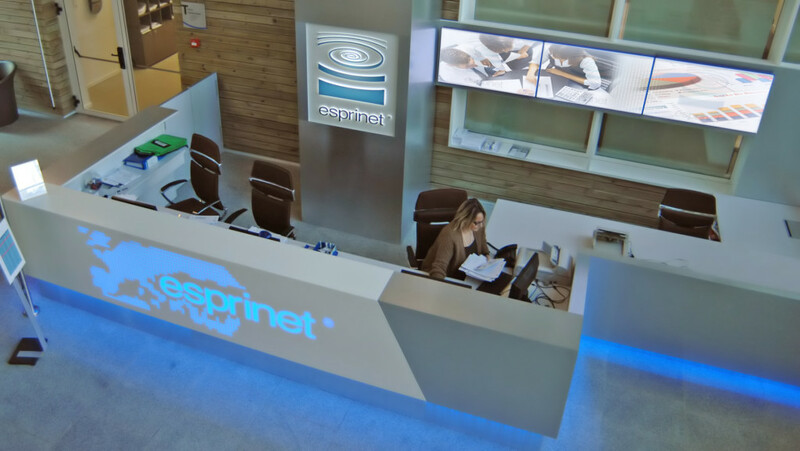 Custom designed reception desk for Esprinet Headquarters situated in Vimercate Eco sustainable Energy Park. 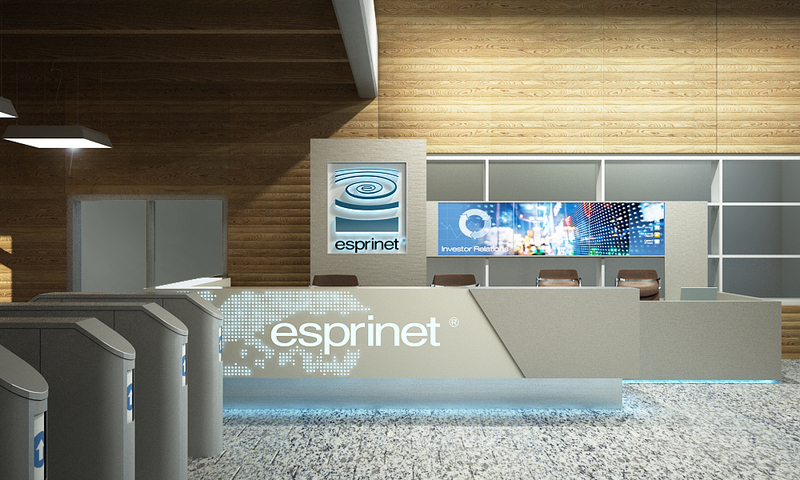 This reception reflects Esprinet’s brand identity and sustainable approach of the whole site. The counter was built using ecofriendly materials such as: solid surface and recycled aluminum. 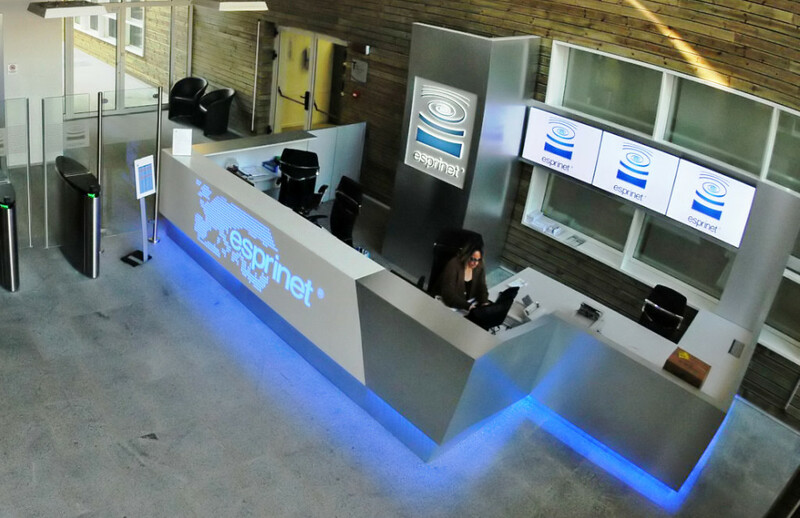 A hidden LED source lights up the carved logo and pattern, while the LED stripe along the length of the reception highlights the counter profile. Ins. – Fb. – Be.